As plutocrats vie with each other to make a bigger splash on the high seas, UK boat builders are steadily taking an ever bigger chunk of the world market. So, you are a high-net-worth individual, possibly in the business 'mogul' bracket, or just someone with a pile of cash to burn and you come to the conclusion that what you really want is your own personal palace on the water, complete with acres of bling, a helipad and a sleek and efficient crew to do your bidding. You're in the market for that ultimate status symbol for the very wealthy: a superyacht. Five thousand other business heavy-hitters and supremely rich people around the world can't be wrong, you reason. On a superyacht – widely defined as a sailing or motor yacht in excess of 30 metres in length – you get the chance to choose your season, you can be pampered round the clock and you can enjoy that most elusive of pleasures – true privacy from the rat race. It dawns on you that you are ready to spend anything from, say, £20m to up to £100m on a statement motor yacht, complete with sumptuously (if not always tastefully) furnished en-suite cabins, a cinema, a 'beach club' facility including spa, sauna and snow room, a swimming pool, that helipad and a crew of 30. You make a mental note that the monthly running costs will run into hundreds of thousands of pounds and you will be forking out well over £50,000 just to fill up the fuel tank. Even more than a private jet, for which the business case can just about be made to stand up, a superyacht really is the ultimate hyper-expensive plaything. As a buyer, the chances are – whether you are British or not – you will find yourself taking your first steps to bringing that dream to reality in London. That is because Britain is quietly developing a highly competitive build and service industry in the superyacht market, based on centuries of maritime history. Brits do know what they are talking about when it comes to ship building and all the support services that go with it, even if many of the great British shipyards have long-since closed. 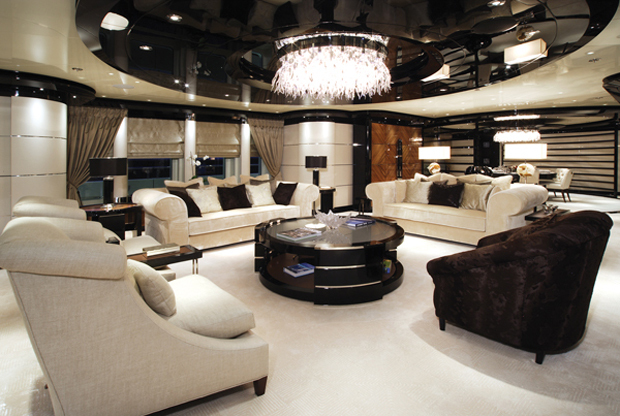 In London are to be found the law firms, the insurance firms, the project-management companies, the yacht brokers and the interior designers who lead their respective markets in this highly exclusive niche. Elsewhere in Britain – on the south coast particularly – are some of the top naval architects who specialise in designing large vessels, shipyards that build or refit big yachts, companies that train superyacht crew (who do the all-important polishing) and component manufacturers that make up the supply chain for both new-build and refit work. The appeal of the British superyacht sector is that it offers a one-stop shop with all the services and skills available in close proximity, something few other countries can match. All in all, it adds up to a growing business, with the characteristics of a classic economic cluster, and its vital signs are encouraging. The latest assessment by Superyacht UK, effectively the trade association for the industry, puts the value of the sector at £492m in 2013/14, an increase of 7.1% over the previous year, with a 4.1% increase in employment over the same period, to a total of 3,700 employees. But the market leaders in that part of the business remain the Italians and the Dutch, followed by Turkey, which benefit in some cases from lower wages than those in Britain. The UK currently ranks sixth globally on that score, according to industry analysts The Superyacht Group, with new-build work accounting for about one-fifth of UK business. The rest of UK activity is in support services and that is how it is likely to remain. Starting a yard business from scratch is extremely risky, as Tom Chant, international development manager at Superyacht UK, points out: 'The cost of entry to the market – to set up shop as a new-build superyacht yard - is very high. In any case, if you are a high-net-worth individual, are you going to go to a completely new yard?' Quite so, the super-rich are notoriously picky about where they spend their money and many go back to the same yards for upgrades to existing boats or commissions for newer, better ones. 'When you dissect these very large projects and work out who is actually putting these deals together – managing the construction of the boats, supplying a lot of the equipment that goes inside them, consulting on the technical aspects of the build, designing it both inside and outside – so many of the skill-sets are coming from the UK,' he says. 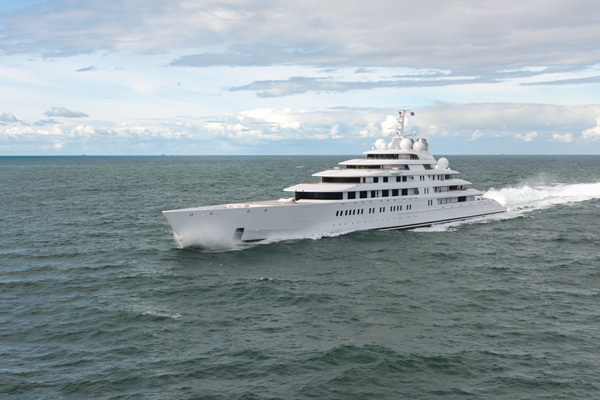 Brown quotes the example of Azzam (above), the largest private yacht in the world at 180 metres (590ft) launched last year with a price tag of over $605m. This included provision of a bulletproof master suite and a missile defence system for its owner, reportedly the president of the United Arab Emirates. Although built in Germany, Azzam was a three-year project managed by a Burgess-run UK-based team. After the crash of 2008 when the bottom fell out of the superyacht market and cash-strapped owners could not give their boats away, the global market is now starting to pick up and Brown believes Britain is well placed to benefit. There is no doubt that a British-trained crew and a British skipper or captain – even better if they have a Royal Navy background – are still high on the 'must-have' list for many owners. So there are several UK companies that specialise in training stewards and stewardesses, bosuns and deckhands. Top captains can earn well into six figures, and a chief stewardess on a larger yacht will take home around £50,000. But who are the buyers? Who is it that wants to be able to drop anchor next door to the likes of Roman Abramovich, Larry Ellison or Paul Allen, and look their plutocratic neighbours in the eye? Well, no one is saying of course, but the Brits are signing deals right now and the us market is strong. New business is also being picked up from Mexico and Brazil, while the Middle East remains busy, as does Australia. Russian oligarchs just love a gleaming, brand new, gold-encrusted boat – mobile assets being harder for the acquisitive President Putin to appropriate should the urge take him. Even the Chinese are starting to buy, but everyone including Sunseeker - which is now owned by China's richest man, Wang Jianlin – views China as a slow-burn. The Chinese don't worship the sun in the way people in the west do, their coastline has seen limited development in marine and leisure facilities, and many Chinese - even the richest among them - don't rate heading offshore as among their most desired pastimes. And what's good for the super-wealthy can be good for some more normal folk too. 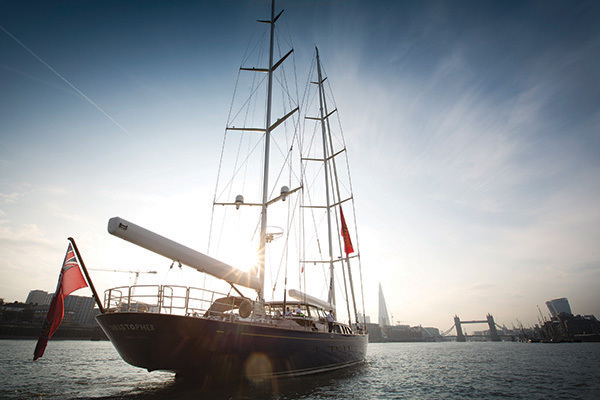 The trickledown effect of the superyacht business in the UK is well illustrated by a little-known company called Oceanair, which specialises in the manufacture of window blinds and soft furnishings for yachts. Founded in 1990 in the back of his garage by Andy FitzGerald, Oceanair now employs 165 people at its 140,000sq ft base in Selsey, West Sussex and turns over £9.5m. Surprisingly, it was the 2008 crash that prompted his breakthrough into the superyacht market that now accounts for 25% of the business. While production yacht orders for its elegant and privacy-ensuring blinds fell away, Oceanair found new opportunities in mega-yachts. More than most customers, the rich and famous, it seems, need to know that they can hide from prying eyes at the press of a button. If you're in this sector, you certainly have to be ready to tackle unusual challenges. One current order is for a yacht that has a top-deck swimming pool with a transparent bottom, so guests on the deck below can watch people swimming above them. Oceanair's brief is to come up with a system of suspended blinds to cover the underside of the pool when the owner has had enough of seeing what's going on above him. With the world's 5,000th superyacht about to come off the slipway, one might imagine that this most exclusive of markets is close to saturation. But Brown at brokers Burgess is not alone in believing there is a long, long way to go yet. Existing owners want better boats, creating a re-fit market that British yards – particularly Pendennis – have done very well from, and new mega-rich buyers are coming in all the time. Sunseeker in Poole, Dorset is arguably Britain's best-known luxury powerboat manufacturer, building boats from around 40ft for relatively modest spenders, right up to bespoke models of 155ft, with a price tag in excess of £20m for punters including motor-racing multimillionaire Eddie Jordan. This year Sunseeker is building 20 boats in the over-£30m superyacht class, accounting for about one-third of the company's turnover. The business appears to be doing well but Sunseeker shocked the market recently when it announced plans to 'rebalance' its workforce, laying off around 300 people in a bid to simplify its management processes and decision-making. Sunny Thakrar, group executive director at Sunseeker, remains optimistic not only about his company's future in the superyacht field but Britain's too, which he believes has been undersold in the past. So Britain knows how to design them, look after them and sell them, and is also even managing to build a few. Barring the sort of global economic meltdown that stopped the market in its tracks in 2008, the future looks buoyant for this most exclusive of luxury niche businesses.